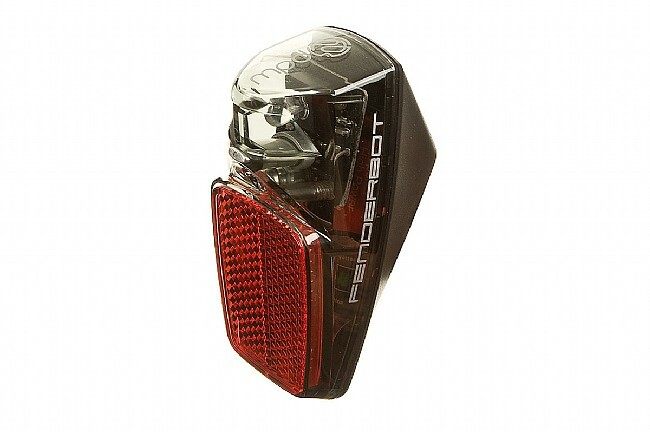 Be seen with the FenderBot Rear LED Light. 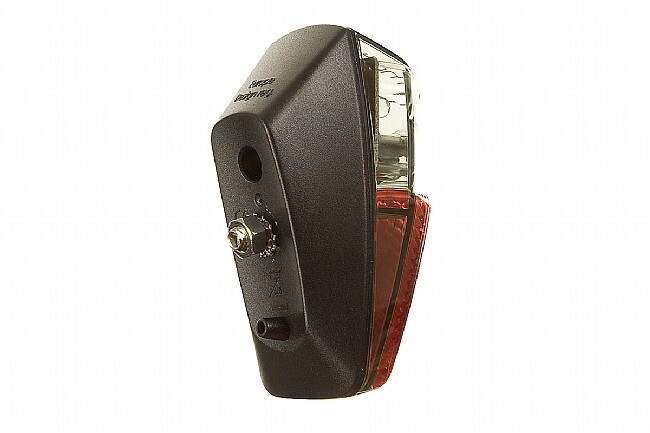 This bright safety signal and reflector bolts directly to your rear fender and features two lighting modes that are sure to grab attention after sunset. To install the FenderBot you need to drill two holes 12mm apart in your fender (the holes in the cardboard packaging also double as a drill guide). Once bolted in place, the FenderBot is sure to thwart opportunistic thieves. *Note: This figure is based on known wattages vs. burn times to other PDW rear lights. It's not provided from the manufacturer. I use this light as a 'backup' to my brighter blinky lights (eg. PDW Aether Demon, Danger Zone, etc.). While it is reasonably bright for dark paths and roads, it is overwhelmed by street lighting in urban areas. I like how it is screwed onto my fenders so it is unlikely to be stolen. The battery life is also excellent. Like I said, it is a reliable back up so that I never have to worry that I will be caught out on the road without lighting in the back. Not the brightest, but truly plenty bright and the mid-size reflector is a definite plus. Mounting on plastic Planet Bike fenders right with the metal bracket for the stays was quick and easy. This is a VERY BRIGHT LIGHT. It is absolutely great for on road riding as it is visible for quite a distance a quarter of a mile or so during DAYLIGHT hours. very good for night time rides as well. I'm very happy with this purchase and will purchase more for other bikes. Looks like it was designed by the fender manufacturer. Very good looking also. tough to steal, and always ready to use. My Spanninga fender light only has a continuoussteady output. For commuting in light traffic on shared-use streets, this light's flashing output was just what I was looking for. Compared to similarly priced seatpost mounted flashing tail lights, the output intensity is significantly lower. As opposed to seatpost mounted lights, fender mounting probably makes it impractical to steal, or losemisplace. This light is probably not sufficient high speed or heavy traffic, and a brighter flashing tail light at helmet height could be a wise supplement. If the light output was brighter, I'd give it 5 stars.